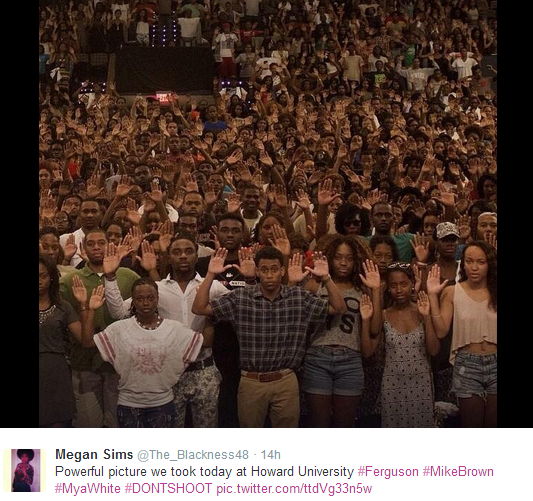 After the Ferguson events unfolded Megan Sims, [@The_Blackness48] shared a photo Taken at Howard University , H!-U!, that makes me proud and sad at the same time. Always glad to see the youth at Howard taking a stand for something. My spirits are brought down by the fact that after all these years our innocence is still found so threatening. ← KLLRWLLKRW: What is your fave way to have eggs?